A critically important part of any Enterprise Risk Management (ERM) strategy is Opportunity Management. In some organizations, Opportunity Management specifically refers to understanding and correctly bidding on business opportunities. It can also mean taking an upside view of risk and identifying opportunities throughout the organization. Companies with a strong Opportunity Management culture are often at a competitive advantage, spotting opportunities and acting on them more quickly than the rest of the marketplace. Stay ahead of the competition with real-time data. 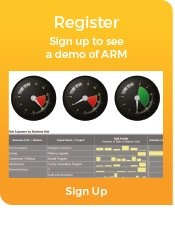 ARM collects all opportunity data from staff on the frontline who are best placed to see the upside options – whether on a project, in operations, or at a strategic level – and makes this information instantly available through dashboards and reports. This means opportunities can be acted upon quickly to gain maximum benefit. Win more business with consolidated, comprehensive information. ARM’s centralized repository of risk and opportunity information provides a growing knowledge base that can be used in the bid and tender process to give the best chance of success. What is the process to follow to bring all your risk information together to improve decision making and underpin business performance? AON, the global insurance provider, estimates just 24% of global organizations have an operational risk management process in place to identify, measure, manage, report and monitor risks consistently across their organization.